Today I introduce you to “Fried Tofu” which is called “Gan-Modoki” in Japanese. I am sure this is going to be your new healthy delicious tofu dish!! During the cooking preparation I process the tofu, so it has a very soft and silken texture. The seasonings are soy sauce, ginger and salt so it is incredibly flavorful. Therefore, this tofu dish even makes people who don’t like tofu very much enjoy it because they don’t think it is made from tofu! Drain tofu, smooth the tofu with a food processor, mix with vegetables and seasonings, and fry. You can enjoy the fresh and hot fried tofu itself. Also it is great to simmer it in chicken soup with some vegetables! To store, place the fried tofu in a plastic bag and keep in the freezer. Please do not drain the used oil in the sink. Put some kitchen papers in a can or a jar which you don’t need and pour the cooled used oil in. Throw it out as regular garbage. Categories: Fried, Tofu, Uncategorized | Tags: beauty, blog, cooking, fitness, Food, fusion food, Health, Recipes, Vegetarian | Permalink. Today I introduce you to Japanese-style chicken tenderloin hot pot. It is great for dinner on cold nights, and also great for dinner on busy nights because the recipe is very easy. You can just set the ingredients in a skillet and simmer with soup. The soup ingredients are Dashi stock, soy sauce and cooking Sake. You can use any kind of Dashi stock. Also you can use instant Dashi stock powder to save time. Here are my recommended Dashi powders on Amazon. The dish is very nutritious because the soup contains a lot of Umami and great vitamins and minerals from all ingredients. And it uses no oil and is gluten-free! Also, chicken tenderloin is high in protein and low in calories. In fact, some Japanese who want to lose weight eat this for dinner everyday. Once they reach their ideal weight, they will go back to their normal diet. The recipe is very easy. You can cook using one skillet. Set vegetables in a skillet and add Dashi stock and seasoning. Once the vegetables get tender, add green onion and chicken tenderloin. Categories: Hot pot, Uncategorized | Tags: beauty, blog, dinner, Food blog, gluten free, Healthy, Recipes | Permalink. This is a traditional Japanese side dish which is called “Goma-Ae” in Japanese. The dish dresses boiled fresh green beans with sweet sesame dressing. The sesame dressing contains ground white sesame, soy sauce and sugar. It is a healthy, delicious, easy and very quick to prepare dish. In Japan we usually use a traditional Japanese mortar and pestle for grinding white sesame. Ground sesame makes the dish very flavorful and it is easy to eat. If you have a spice grinder, you can use it. If you don’t have either a spice grinder or a mortar and pestle you can put sesame seeds in a zipper bag and beat them with a rolling pin until they are ground. 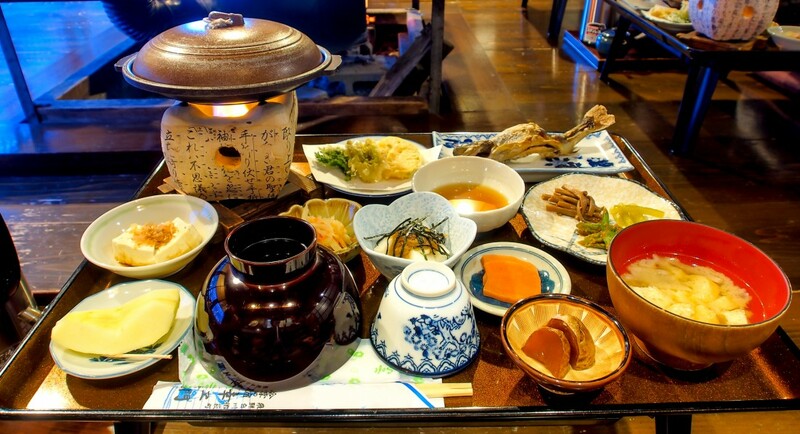 The basic arrangement for many Japanese meals is called “Ichi-jiru, San-sai,” which consists of one bowl of cooked rice, one kind of soup and three vegetables or fish small portion dishes. So this dish is a very common dish in the Japanese diet. When you want to add a vegetable dish to your meal or in your lunch box, this is a great choice. Also, you can use any kind of vegetable with this dressing, such as boiled spinach, boiled carrot, boiled broccoli and so on. The recipe is very quick. It takes only 10 minutes. Mix the sauce ingredients, boil fresh green beans and dress. You can store this dish in the refrigerator for 3 days. If you want to store longer, please dry the boiled green beans very well before dressing in the sauce and transfer them to a clean container. You can then keep it in the refrigerator for 5 days. Enjoy this new healthy side dish!! Categories: green beans, side dish, Uncategorized | Tags: Asia, beauty, blog, cooking, Delicious, Diet, dressing, Easy, fitness, Food, Food blog, gluten free, green beans, Health, Healthy, Japan, Japanese food, Nutrition, Quick, Recipes, Sesame, simple, Sweet, vegan, Vegetarian | Permalink.